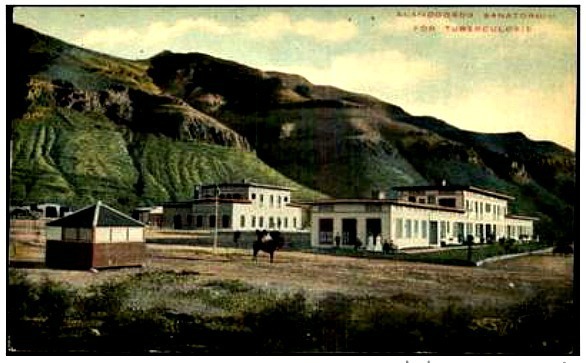 Alamogordo Sanatorium was established in 1907. 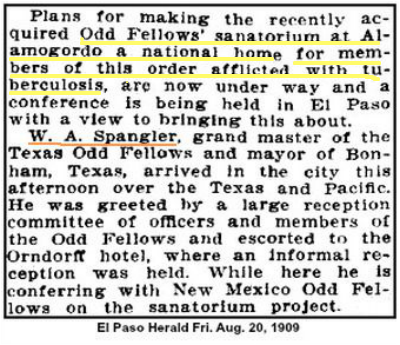 It was also known as the Fraternal City Sanatorium. It had a 60 patient capacity. 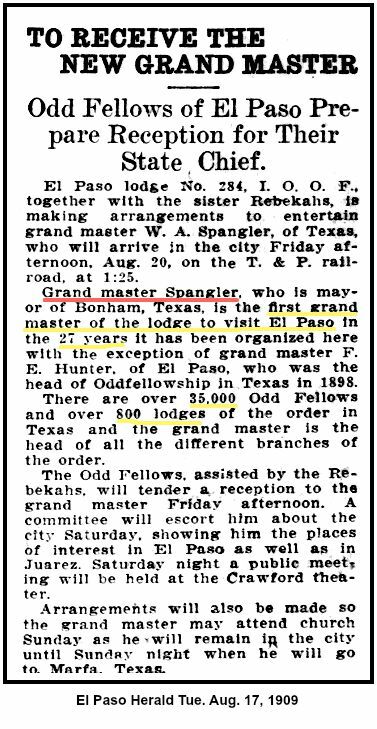 It is not clear if the Texas Odd Fellows ever bought into the project. Located at Willow Wild Cemetery in Bonham, Texas. around the Alamo eventually was used for commercial uses, like this hotels. 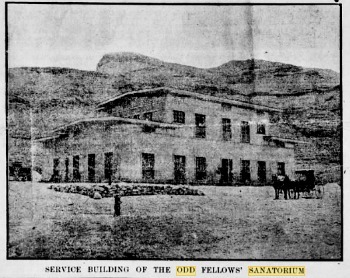 The cornerstone mounted in the wall area to the right of the front door entrance of the Crockett Hotel was placed by the Independent Order of Odd Fellows (I.O.O.F.) 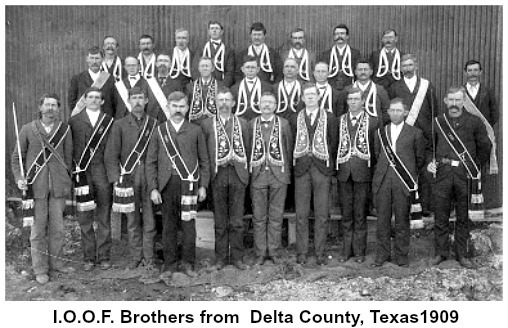 Lodge 11. 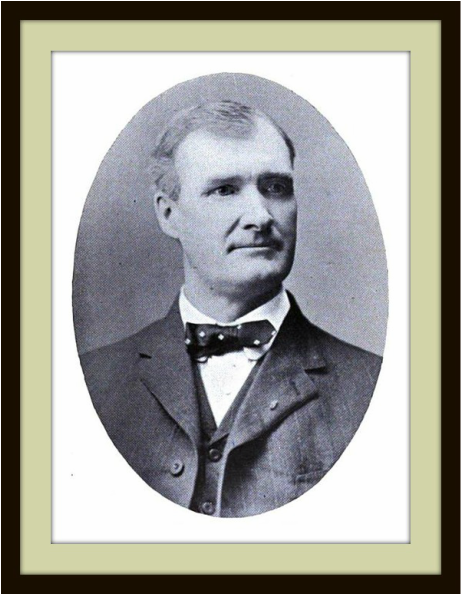 The original hotel building has been completed in 1877, but the cornerstone was laid later on April 26, 1909. 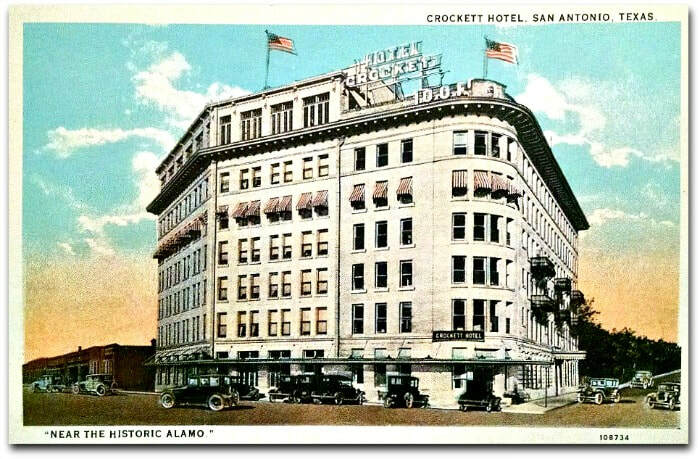 It is unclear if the original building was demolished and rebuilt into the "old" part of the current Crockett Hotel or if the hotel history page on their website was inaccurate. 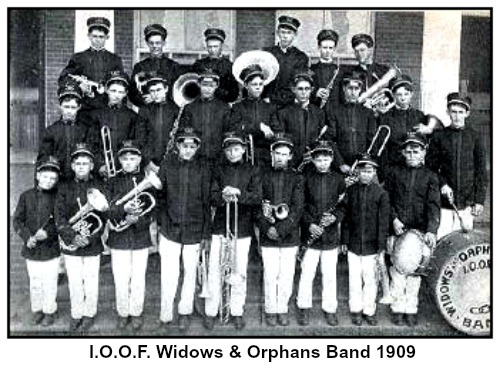 But, the fact is that the six-story "old" building that exists today was extant in 1909 when the I.O.O.F. 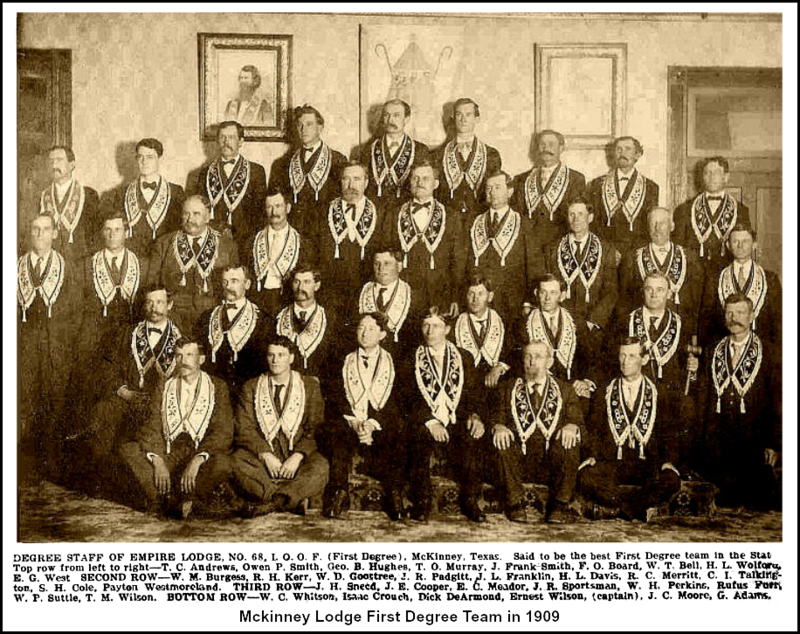 Lodge 11 installed the cornerstone.